Great low pressure experience, I visited multiple times and have not been happier with an experience than I am with Brazos Valley. Excellent experience. Would recommend. Oil change, good price, accurate wait times, wifi, snacks, good employees. Compared to other dealers, Brazos Valley is outstanding. Ask for Emerson for incredible customer service and knowledge of cars and the automobile industry. I was dreading having to buy a car, and he made it a great experience. I am Brazos Valley's newest loyal customer. If you need a vehicle, this is your place. Highly recommend! Outstanding! Emerson was extremely knowledgeable and clued in to the car I was looking for. Great customer attention and experience. Drove off happy with my new car. Highly recommend! 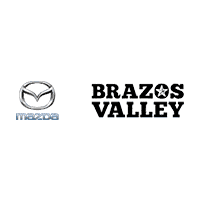 Brazos Valley Mazda in Bryan, TX treats the needs of each individual customer with paramount concern. We know that you have high expectations, and as a car dealer we enjoy the challenge of meeting and exceeding those standards each and every time. We take pride in serving the greater Houston, College Station, and Cypress areas. Allow us to demonstrate our commitment to excellence! Our experienced sales staff is eager to share its knowledge and enthusiasm with you. We encourage you to browse our online inventory, schedule a test drive and investigate financing options. You can also request more information about a vehicle using our online form or by calling (979) 776-7600.